Leave from 2-10PM. First for over a month. Keith could not get off. Bus into Maadi. Train to Cairo. Parts of Maadi very pretty. Diesel engine travels very fast on ???. See various views of Dead ??? on way in all vegetation done by irrigation. Cairo – many natives pestering you to clean boots, guide you to places, sell you some article. All traffic on right side. Surries – horse drawn vehicles. All smell. Went to NZ Club. Lovely building. Showers. Barbers. Meals & Bars. Most shops in Cairo close for siesta between 2-4PM. Hottest part of day. Stayed most of time in club. Too hot to walk around. Bought Margaret’s camera cases 278 piastres. Parts of Cairo very filthy. Usual parade in morning. Afternoon off. Camel go past Maadi test. Went down to pool, had a swim. Saw Billy Morris & Rollo May. Church parade in morning – rest of day off. Wrote letters at church army hut all afternoon and all night. On picquet all day. Got letters – Marg & Mum. Saw Lyttelton boys just back from Crete. Told some great experiences. All looked weary and worn out. Saw demonstration anti tank hunting drill. March down swimming pool in afternoon. Took (long) way but nice once there. First Day ??? ??? ??? Bren. Letters from Marg(s), Erin, Rona. 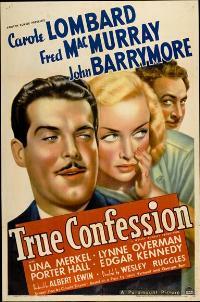 Went to pictures at night “True Confession”. Talkies in English, French written on screen. For photos of of the Church Army Hut and the NZ Club in Cairo, see this blog post by WarPhotoFind.